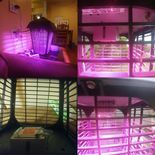 School gym lightsxelareverse04/13/19 at 18:30Lightingguy1994: Most of the gyms i've been in had fluorescent ... Mark Lighting Parabolic louver has a new spotxelareverse04/13/19 at 13:57Dan The Bulb Man: The old Genaurdies near me used to have these. 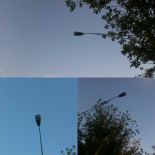 Lights at junkyardxelareverse04/13/19 at 13:06Lightingguy1994: was it saved? 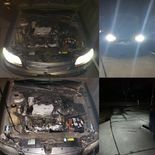 Westinghouse abomination installed.xelareverse04/02/19 at 21:54xelareverse: Warming up Westinghouse abomination installed.xelareverse04/01/19 at 05:56rjluna2: Is this running full power? 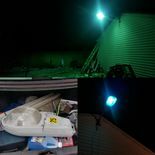 Westinghouse incandescent head with GE powerbracket refractorxelareverse03/24/19 at 16:10GE101R: Not common. Made in 40's and 50's. 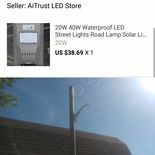 Westinghouse incandescent head with GE powerbracket refractorxelareverse03/24/19 at 14:40xelareverse: How common are they? 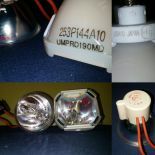 Westinghouse incandescent head with GE powerbracket refractorxelareverse03/24/19 at 10:29GE101R: Good find, especially the "bee hive" Wes... Westinghouse incandescent head with GE powerbracket refractorxelareverse03/24/19 at 10:03xelareverse: Thanks Westinghouse incandescent head with GE powerbracket refractorxelareverse03/23/19 at 22:20WestinghouseCeramalux: Nice! I like great saves. 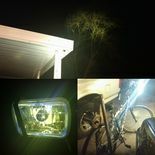 Westinghouse incandescent head with GE powerbracket refractorxelareverse03/23/19 at 18:14fluorescent lover 40: Nice haul! 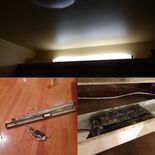 Westinghouse incandescent head with GE powerbracket refractorxelareverse03/23/19 at 18:10Cole D.: Great scores! It looks neat that way, plus if you ... Haloween display 2018xelareverse10/19/18 at 13:27DuluxM: Looks nice!